The tomb of Archbishop Walter de Gray is a rare example of a freestanding, canopied tomb of the mid-thirteenth century. Despite an in-depth archaeological study in the late 60's, which revealed the hidden coffin lid with a full-length painted image of the deceased, there has been no subsequent questioning of the dating and purpose of the superstructure that covered the original monument. Recent research has contributed to a greater appreciation of the scale and role of painting in effigial monuments, and suggests that the painted coffin lid was unlikely to have been considered as simply a temporary measure. This article reconsiders the visual and documentary evidence to support a new dating of the monument and the circumstances surrounding its creation. Julian M. Luxford 'Thys Ys To Remember': Thomas Analby's Illustrations of Lost Medieval Tombs Cambridge, Fitzwilliam MS 329, is a mid-fifteenth-century secular cartulary written and illustrated by Yorkshireman Thomas Anlaby. It contains three coloured drawings of now destroyed tombs which stood at Swine, Meaux and Driffield in the East Riding of Yorkshire. This article describes and analyses these drawings in their manuscript context, assessing why they were added and how accurate they are. The drawing of the most important tomb, that of Baldwin of Béthune, sixth Count of Aumale (d. 1212), at Meaux, is examined alongside other surviving evidence for the monument's appearance. Britain has many surviving examples of 'transi' or cadaver tomb monuments and brasses, which range from so-called 'double-decker' tombs juxtaposing an effigy of the deceased 'au vif' with a representation of the corpse below to single cadaver effigies, skeletons and shroud effigies. One variety that appears to be much rarer in Britain than elsewhere in Northern Europe is the effigy infested with vermin, of which the brass of Ralph Hamsterley (d. 1518) at Oddington is the most obvious example. However, appearances can be misleading and there is a risk of misinterpretation, partly due to a lack of understanding of regional differences in iconography. 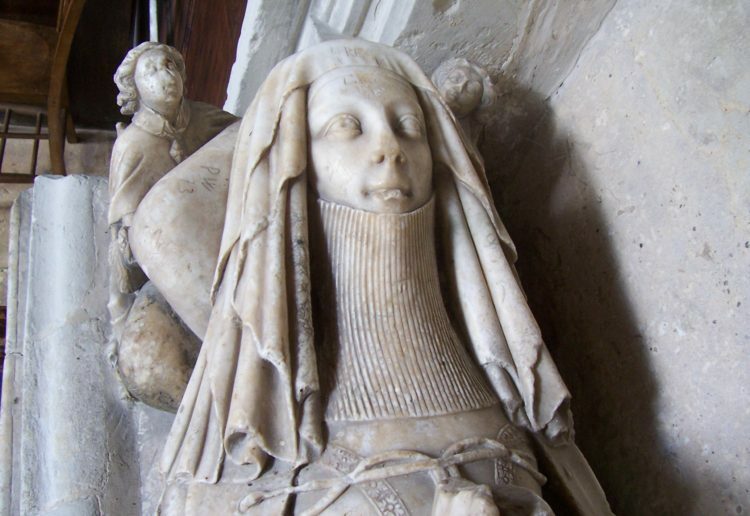 This paper aims to provide a wider cultural context to the cadaver effigy in Europe, including the 'verminous' variety, whilst discussing four English monuments at Lowthorpe, Oddington, Flamborough and Tewkesbury that have previously been claimed as examples of this particular type. The monument at St Bartholomew-the-Great, London commemorating Percival Smalpage (d. 1559/9) and his wife Agnes (d. 1588) was commissioned by the couple's son and is attributed to Giles de Witte. A nineteenth century restoration resulted in parts of the monument being erroneously exchanged with those of another memorial in the church. The memorial throws interesting light on portraiture on monuments and the development of cadaver restorations in the sixteenth century. The choir of the collegiate church at Tübingen, Germany, houses an impressive but little known ducal burial place which was in use for only a short period of time. Today there are about fourteen free standing and ten hanging monuments which commemorate members of the Württemberg family as well as other princely persons. This article will explore the institution of the burial place as well as the reasons for its discontinued use. It will also examine the most important tomb monuments to members of the Württemberg family interpret them with regard to their historical background. Since the time of Sir William Dugdale (1605-86) the memorial verses on the monuments to Sir Thomas Stanley (d. 1576) and his wife Lady Margaret Stanley (d. 1596) and their son Sir Edward Stanley (d. 1632) at St Bartholomew, Tong, Shropshire, have been attributed by some to William Shakespeare. It has not, however, previously been noted that one of the verses appears in a slightly variant form on the monument to Sir William Gosteick (d. 1615) at St Laurence, Willington, Bedfordshire. 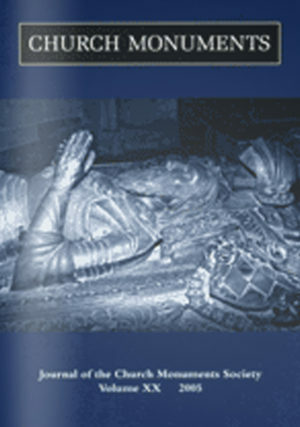 This article explores some of the issues raised by these verses, and concludes that whilst the poems are probably not by Shakespeare, they typify a widely held attitude towards church monuments in the early Stuart period which frequently contrast the enduring reputation of the deceased to the vulnerability of their physical remains and tombs. This outlook, and the style in which it is often couches, are understandably if rater misleadingly often considered Shakespearian. This article concludes with some wider observations concerning the relevance of epitaphs to our understanding of the monuments and religion of the period. Nigel Morgan (ed) Prophecy, Apocalypse and the Day of Doom, Proceedings of the 2000 Harlaxton Symposium, Harlaxton, Harlaxton Medieval Studies 12.